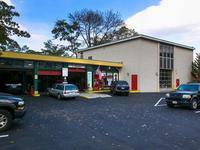 Our auto repair shop is your best source for fast and reliable auto repair. We care about your safety and will save you money and time. For over 15 years we have served the area's foreign and domestic auto repair needs. We offer competitive prices, reliable experience, and efficient service in our state-of-the-art facility. Whether you decide to wait for your vehicle in our waiting area (free wireless) or if you would prefer to drop your vehicle off, our shop offers state-of-the-art technology and friendly service. We provide a service guarantee for all of the work done with us. Follow us on Facebook for special deals and information!